There's a story about Steve Jobs deciding to switch the original iPhone's plastic screen for a Gorilla Glass screen just scant weeks before launch because he believed it was better. If you've ever put a plastic screen protector or film on your iPhone, you know there really is a difference in the way it looks and feels. That won't bother some of us, but it will others. 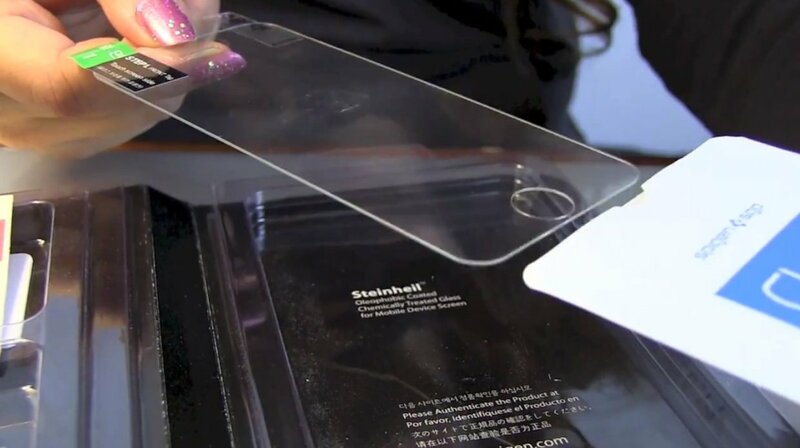 If it bothers you, SGP offers the GLAS.t premium tempered glass screen protector for iPhone 5. It's the closest you can get to putting a second glass screen on your iPhone. Included in the SGP GLAS.t box is the protector itself, an applicator squeegee, alcohol swap for cleaning, pink, green, white, and black epoxy Home button stickers, and a micro-fiber cloth. The SGP GLAS.t is made with real glass, which they say is ultra-hard coated and rated just over 8H, enough to prevent scratches from knives and keys. It also has an oleophobic coating just like an iPhone screen so it resists finger prints and other oily residue. Combine the hardness of the glass with the smudge protection of the coating, and it's really like you have a second screen on your iPhone that you can remove and replace far less expensively if any damage occurs. 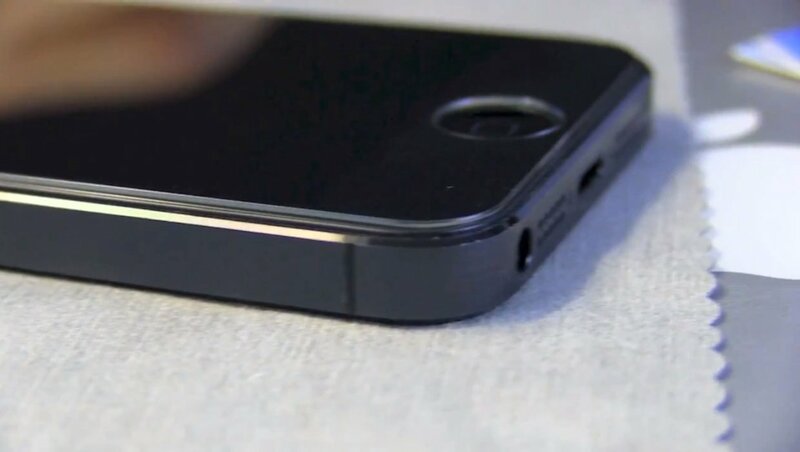 The SGP GLAS.t adheres to your iPhone 5 screen via a strong silicon adhesive that makes it easier than most screen protectors to apply and makes air bubbles easy to press out. (See the video above.) Because of the excellent adhesion, it also transfers capacitive multitouch taps and gestures extremely well, so there's little if any loss of sensitivity. Feels just like iPhone glass -- spectacular! Not as thin or chip-resistant as plastic. My opinion on the SGP GLAS.t hasn't changed. 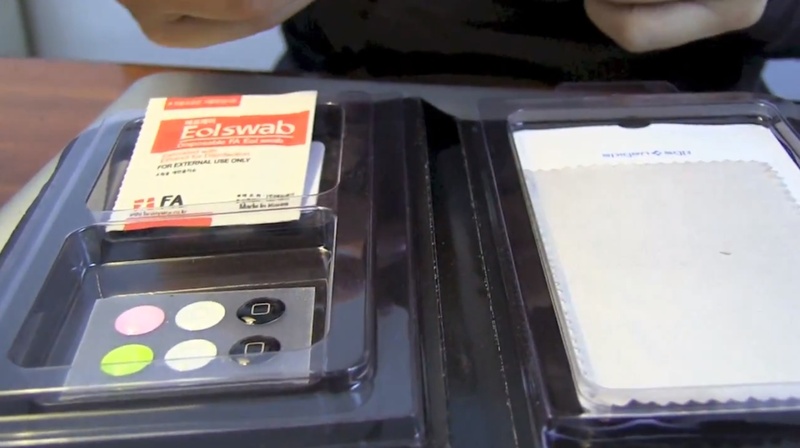 It's still the best screen protector I've ever used on an iPhone, and now I can use it on the iPhone 5 as well. Once you try it, it really is hard to go back.